UniTorq A-Series is designed for the most challenging industrial applications. 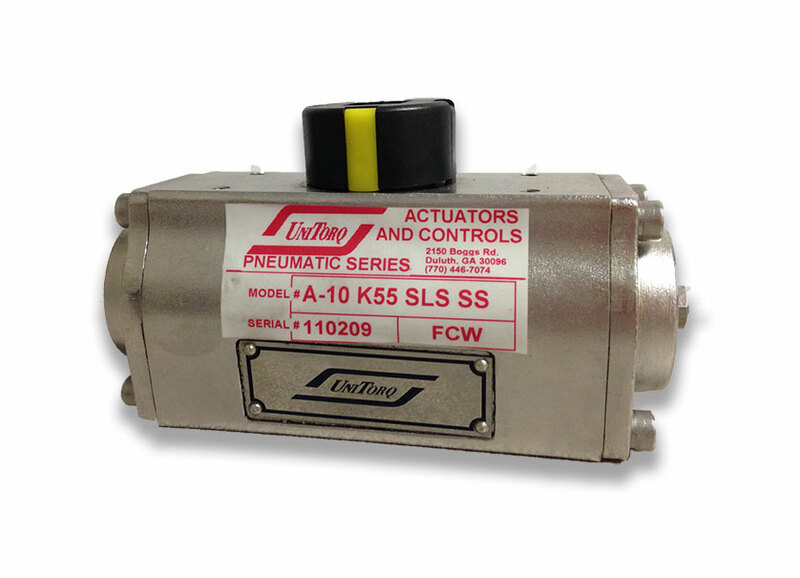 Available in a cast type 304 or 316 stainless steel body, the A-Series actuator is ideal for use in corrosive environments such as chemical manufacturing facilities, coastal and marine environments, food & beverage and pharmaceutical manufacturing facilities where caustic materials are being utilized. Seven sizes are available with double acting torque ranges from 147 to 6,506 in lbs. We also offer stainless steel solenoid valves for a complete solution for severe environments.